The boom in small scale mining operations, popularly known as ‘galamsey’, is fast becoming one of the major factors contributing to the rapid decline of forest resources in Ghana. Forests play important roles in the maintenance and provision of goods and services that are beneficial to all segments of society. As a natural resource pool, forests store and recycle nutrients, protect land and water resources, provide valuable genetic resources and habitats for wildlife. In Ghana, the forestry sector contributes about 2-3% of the Gross Domestic Product (GDP), down from about 10% a decade ago (FDMP, 2016). Nonetheless, the forestry sector provides direct employment to over 100,000 Ghanaians and indirect employment to over 2.5 million people (GSS, 2014). In addition, timber exports earn the country about US$180 million per annum, which accounts for about 1.5% of total exports (FDMP, 2016). Despite these benefits derived from the forestry sector, forests in Ghana are under serious threat partly due to deforestation and forest degradation. The Forestry Research Institute of the Council for Scientific and Industrial Research (CSIR-FORIG) has started a research programme to support the restoration, rehabilitation and protection of forests and water bodies destroyed by illegal mining, popularly known as galamsey. According to FORIG, the initiative follows a mandate from the government to work towards the rehabilitation of degraded mine sites in the country. The Director of CSIR-FORIG, Professor Daniel A. Ofori, told the Daily Graphic in Kumasi last Monday that it had the full complement of staff with excellent understanding of reclamation/rehabilitation and the necessary capacity for coordinating such an activity across the country. Prof. Ofori said the rate of deforestation and forest degradation in the country had arisen in recent years. After over a decade of research and work on the ground, allanblackia oil has made its introduction into the consumer market, and its success can benefit local communities, help restore degraded landscapes and conserve local biodiversity. 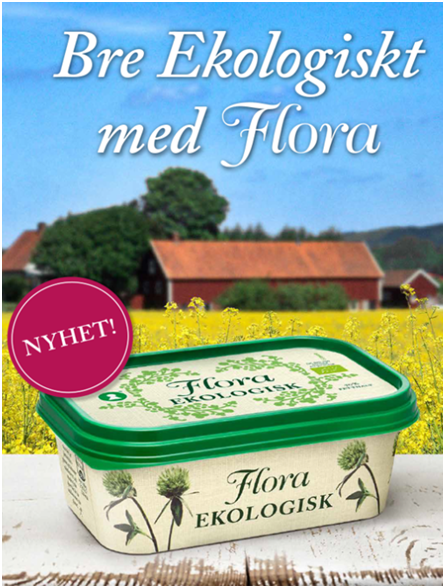 In February Unilever launched the first organic margarine with allanblackia oil on the market, under the brand Flora. It’s called Flora Ekologisk and can be found in store at Swedish retailers. This is the first consumer product to use allanblackia oil.